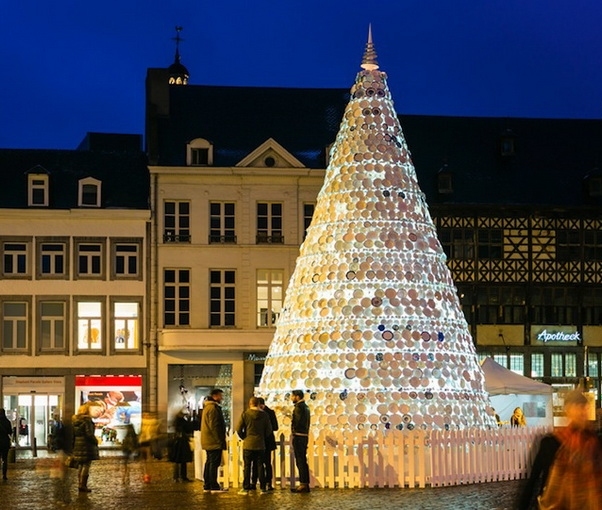 Townspeople from Hasselt, Belgium collaborated with Inge Vanluyd and Stefan Vanbergen of the Belgian studio Mooz to create this giant Christmas tree in the town square. 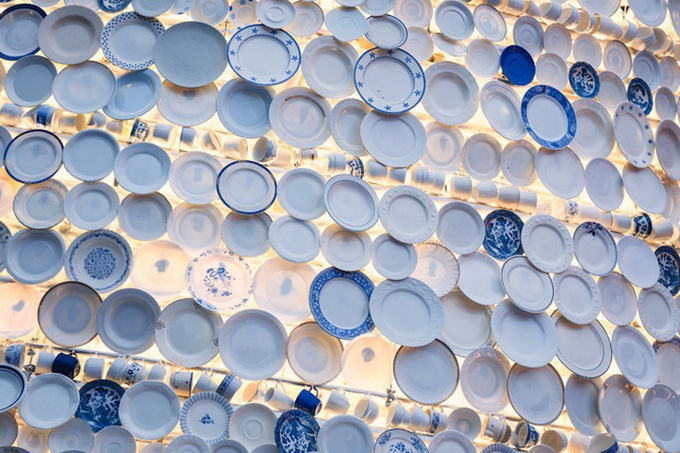 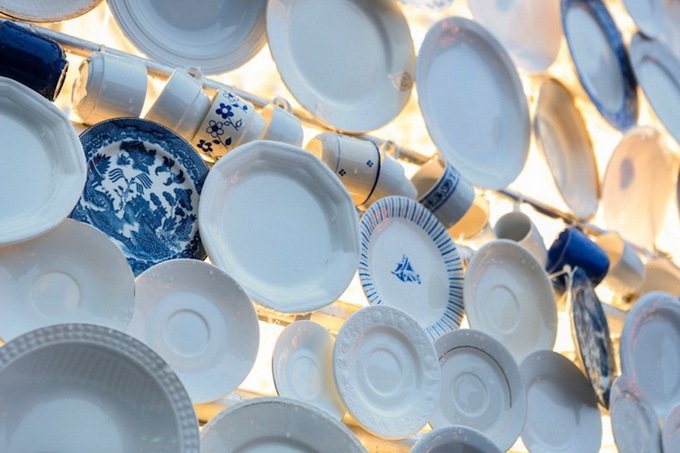 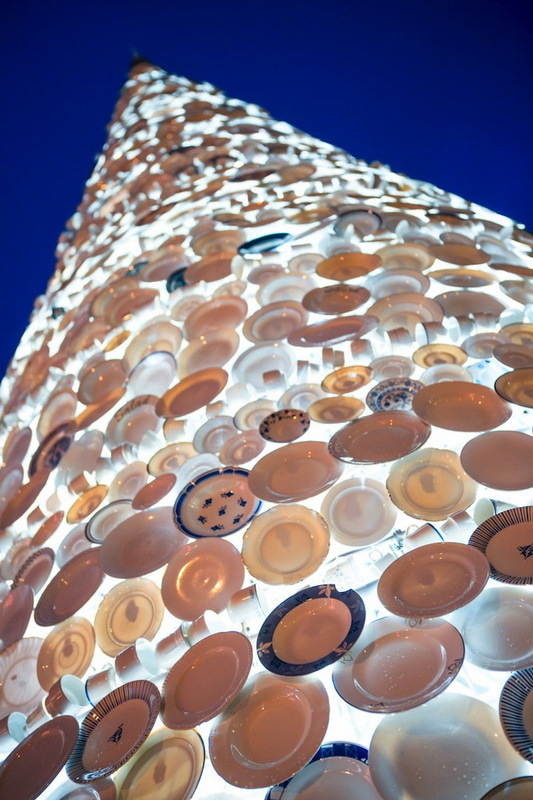 Residents donated extra unused plates and cups to help create the tree, which is comprised of over 5,000 pieces of china dinnerware and stands over nine meters tall and six meters in diameter. 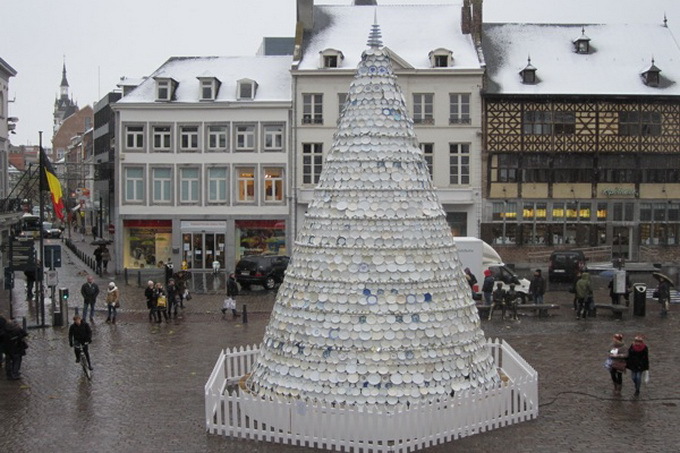 The tree was dubbed the "Taste Tree" due to Hasselt being known as "the capital of taste". 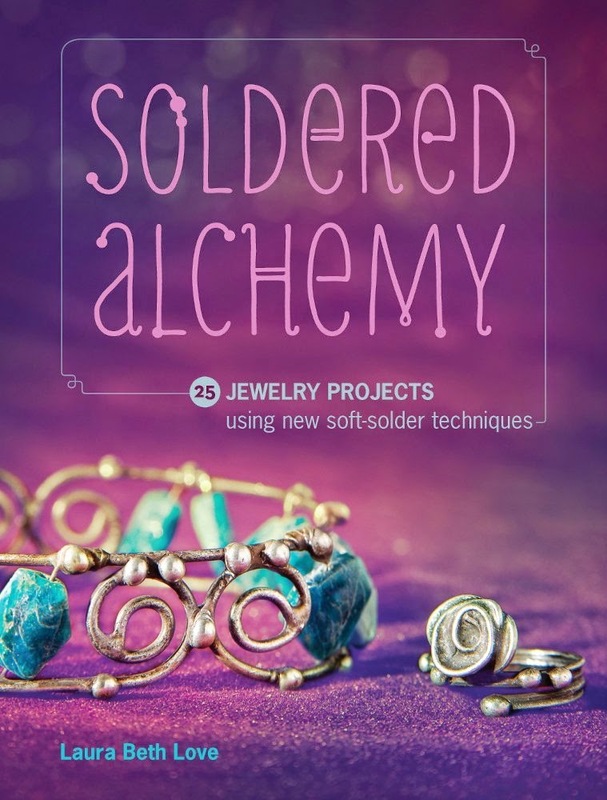 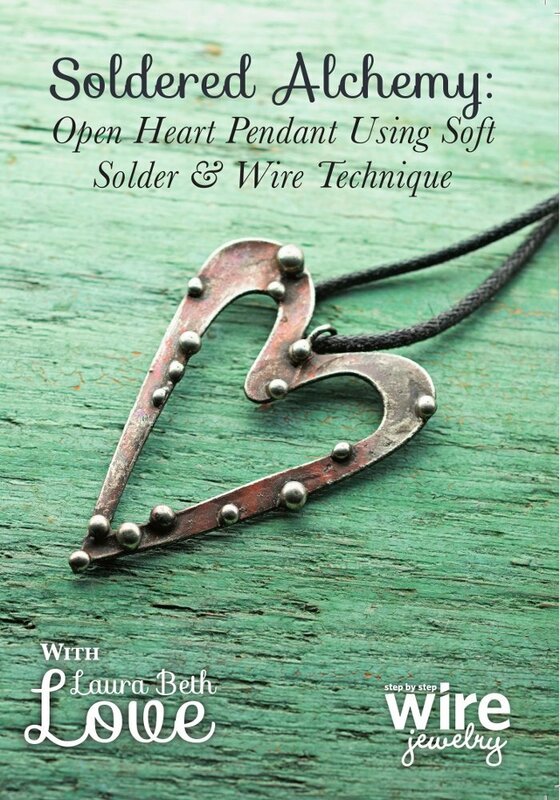 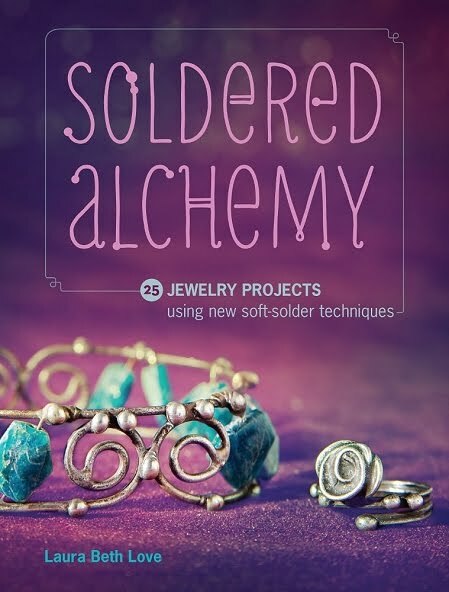 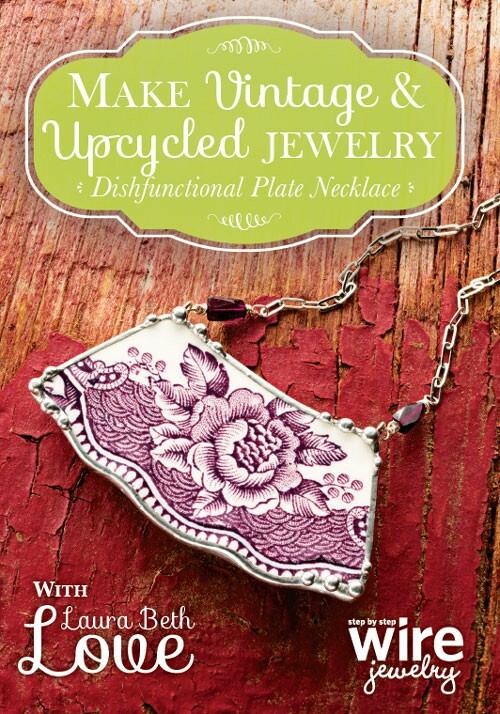 Very pretty and a great idea!I like all kind of reuse-things. 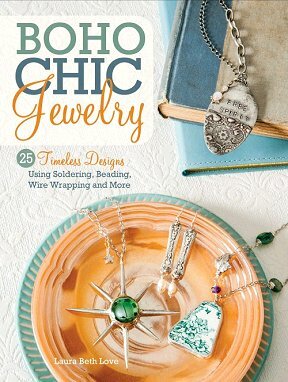 Love everything about it! 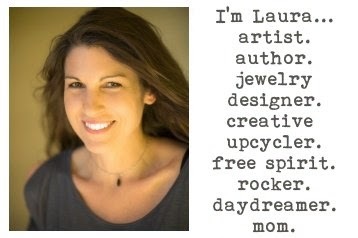 Thanks for sharing, it's wonderful!